Microsoft Project® is the market leader in project management software. However, unlike other Microsoft applications, it is not an easy application to learn. 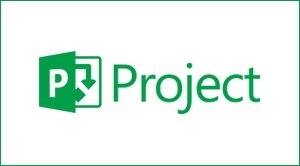 Microsoft Project®, like all project management tools, is intended to be a project simulation tool – simulate how your project is intended to be performed. Properly using Microsoft Project® to develop dynamic schedules is not easy. As a matter of fact, if it is easy to do in Microsoft Project, it is probably the wrong way to do it in Microsoft Project. Integrated Process Developers, Inc. (IPDI) has taught people around the country the proper way to use Microsoft Project® to build dynamic schedules. Schedule a Microsoft Project® training course for your company to get the most out of this valuable project management tool. Contact IPDI to arrange a Microsoft Project® training course and to discuss how we can make the most of this tool for your company.